National Raisin Day, Saturday (April 30) may not inspire the passion and excitement of National Jelly Bean Day (April 22) or even National Pigs-in-a-Blanket Day (April 24). But for the raisin devotees among us, it is an occasion to celebrate a humble, but nonetheless special, food. In my parents' kitchen, there is a small sign that reads "Raisin Day Puts Two Saturdays In Every Week." More than a casual fan, my father, a mild-mannered dentist, qualifies as a raisin enthusiast. He adds them to all cereals, enjoys a few in most salads, and considers them the perfect snack. Optional raisins in a recipe are never optional in his mind. He has even been known to surreptitiously sprinkle raisins on my chocolate ice cream when he thought I wasn't looking. The apple does not in fact fall far from the tree, and I love raisins just as much as my dad does. I do draw the line at sprinkling them on chocolate ice cream, however—even on National Raisin Day. Thankfully, there are plenty of other ways to celebrate. 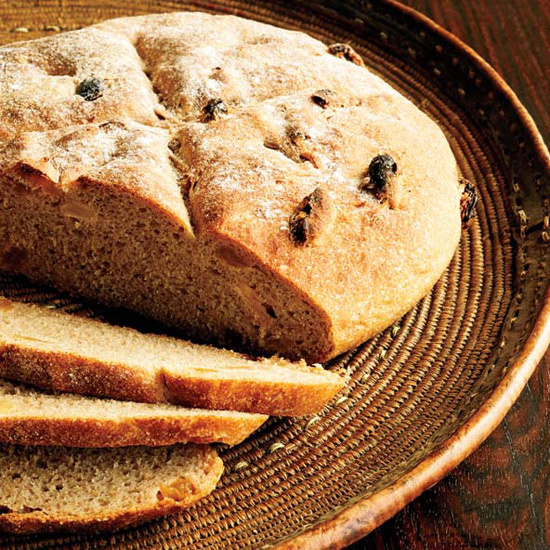 Here are 5 great raisin recipes to start with. 1. Easy Oatmeal Raisin Cookies Can we even talk about raisins without talking about oatmeal raisin cookies? These chewy cookies are a perfect version of this classic treat. 2. Carrots with Raisins and Olives A terrific make-ahead salad made for the raisin-lover in your life. The briny punch of the olives pairs nicely with the natural sweetness of the carrots and the raisins. 3. Raisin-Walnut Babka Why settle for raisin bread when you can make Melissa Weller's peerless Raisin-Walnut Babka? Golden raisin puree, whole dark raisins, and toasted walnuts are rolled up in the buttery babka, and the whole loaf is topped with a luscious cinnamon glaze. 4. Eggplant Caponata with Golden Raisins Great as a toasting topping or as part of a picnic lunch, this caponata has a wonderful balance of sweet, salty and sour flavors. And of course, it has raisins. 5. Roasted Quail with Cabbage and Raisins You probably know that raisins are great in cookies, but did you know that they are equally wonderful soaked in Madeira and stuffed in semiboneless quail? This elegant dish is perfect for dinner parties or fancy weeknight suppers.